We did it again. 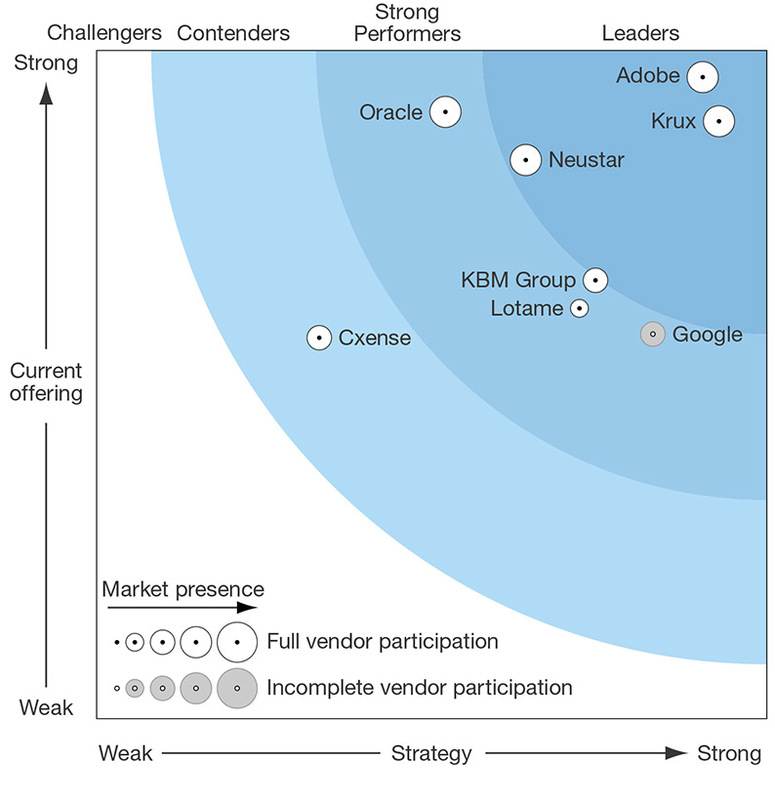 Adobe named a leader in the DMP Forrester Wave. As customer demands evolve, so must your tools. That’s why brands, publishers, and agencies have turned to DMPs to better manage their data assets. And our platform offers a range of innovative features to meet your data management needs. According to Forrester, “Consider Adobe if you want all options: a full stack plus an array of integrations.” Read the new Forrester Wave: Data Management Platforms, Q4 2015 report to learn how Adobe Audience Manager can help you bridge the worlds of Ad and Marketing tech. The best data management platform on the market. We offer a wide range of options. With our technology, you’ll have everything you need to solve your marketing problems. Integrate with any of our Adobe Marketing Cloud solutions. And integrate with external vendors, too. Our strategy is built on your needs. We build partnerships with the best, so you get all the right tools from one platform. and use them across any digital channel. Do you know your customers? We can help.